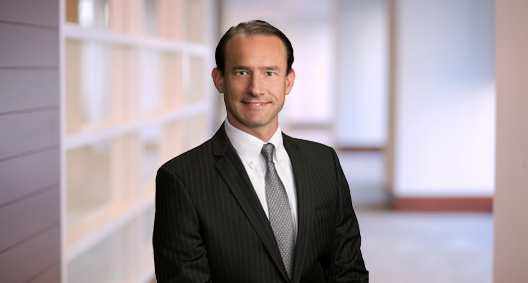 Ethan Carlyle has more than 14 years of litigation experience in areas such as collection lawsuits, commercial and workplace personal injury litigation, insurance litigation, construction litigation, and employment litigation. He has had success in obtaining judgments against defaulting debtors and collecting on those judgments, whether through post-judgment enforcement actions or in bankruptcy proceedings. Utilizing this experience, as well as an earnest approach to his work, Ethan focuses on efficient resolutions that will satisfy all aspects of his clients’ needs. Obtained a judgment for $2.8 million on behalf of an energy company against a biofuels manufacturer and supplier. Eventually collected more than $2 million of the judgment through various post-judgment actions, including garnishments, turnovers and appointment of a receiver. After a gas station employee allowed customers to charge gas and other purchases to a client’s gas card in exchange for cash, filed a lawsuit and collected $9,000 on behalf of the client against the gas station owner. Obtained a judgment for $2.9 million after a two-week trial on behalf of a Houston-based fuel trader against Canadian entities and its principal in a collection matter based on fraudulent transfer and alter ego theories. The judgment forced the defendants into bankruptcy in Canada, and eventually their $50 million biodiesel plant was placed in receivership. Obtained a settlement on behalf of a food service supplier against a salesman accused of pocketing cash received from customers, and ultimately pursued a claim in the salesman’s bankruptcy proceedings as an unsecured claim. Obtained a judgment for $30,000 on behalf of a chemical supplier against a customer who could not pay after a drop in the price of oil. Collected the full amount of debt after working out a settlement and payment plan. Served as second chair in a two-week first-party insurance trial before a federal judge in the Northern District of Texas and was the sole drafter of the winning Renewed Motion for Judgment as a Matter of Law that completely overturned a $9 million-plus verdict and resulted in the 144-page opinion. Served as first chair in the representation of a large national insurance company in a lawsuit involving claims of bad faith insurance practices and breach of contract in a Missouri state court. Served as first chair in representation before the Wyoming Department of Labor, successfully representing a drilling company in a Title VII sexual harassment and retaliation claim. Served as second chair in a two-week personal injury trial in Texas state court representing a general contractor where a favorable settlement was obtained during jury deliberations that saved the client more than $1 million. Served as first chair in an administrative law proceeding before the Federal Mine Safety and Health Review Commission in Corpus Christi, Texas, representing an industrial cleaning contractor where a favorable settlement wiping out a 104(d) “unwarrantable failure” and high negligence finding was obtained before the Secretary of Labor rested. Served as first and second chairs in the representation of a major auto manufacturer in property damage matters in 13 western region states.